It’s nearly time! 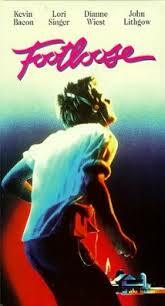 Our annual open air film night is nearly here and this year we are Footloose! Saturday 9th August, gates from 6pm, a dancing demo and workshop from The Professionals at 7pm and film starts at dusk. Admission is £4 adults, £2 children, (children under 16 must be accompanied by an adult), picnics welcome but no glass or alcohol and there will be a bar and bar b q, as well as hot drinks and refreshments from the cafe. Previous post: Summer Events are Here!